In the Pacific Northwest in 1983, outsiders Red Miller and Mandy Bloom lead a loving and peaceful existence. When their pine-scented haven is savagely destroyed by a cult led by the sadistic Jeremiah Sand, Red is catapulted into a phantasmagoric journey filled with bloody vengeance and laced with deadly fire. 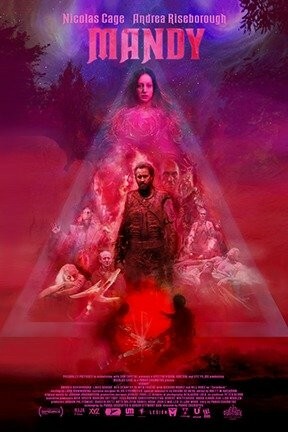 Mandy is not showing in any theaters in the area.